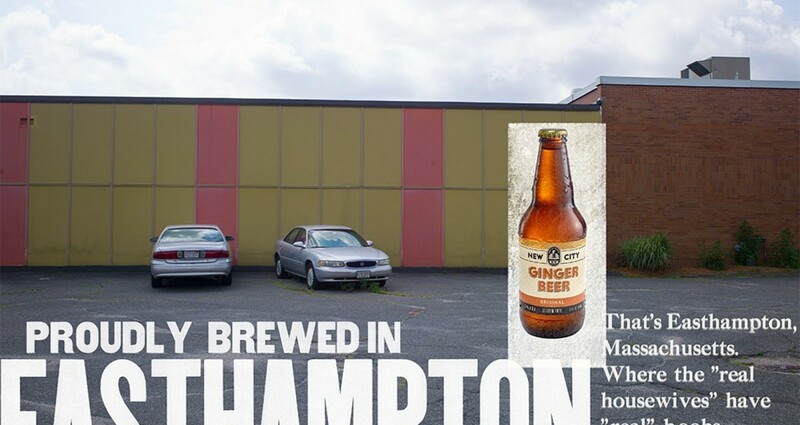 The New City Brewery is a small, family-run brewer of (alcoholic) Ginger beer located in the sleepy town of Northampton Massachusetts. The town, both physically and philosophically, is hundreds of miles away from the more well-known, tony town of Northampton, New York: summer play-land of the rich and famous and entitled. 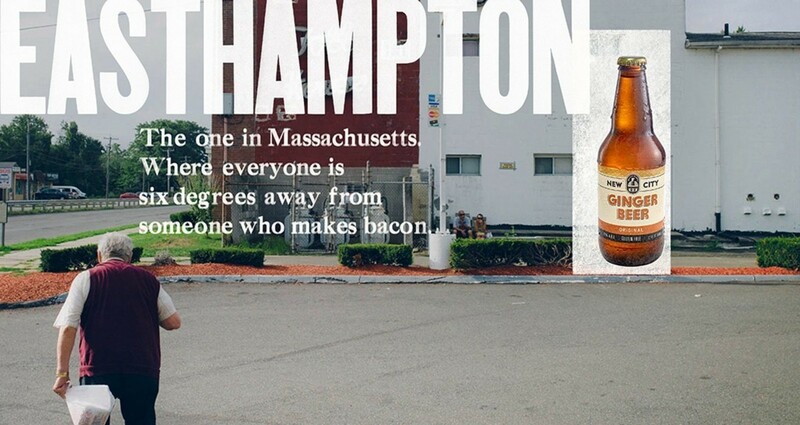 We used these two towns as a basis of comparison to drive home the point about New City's commitment to their hand-crafted, small-batch ginger beer. 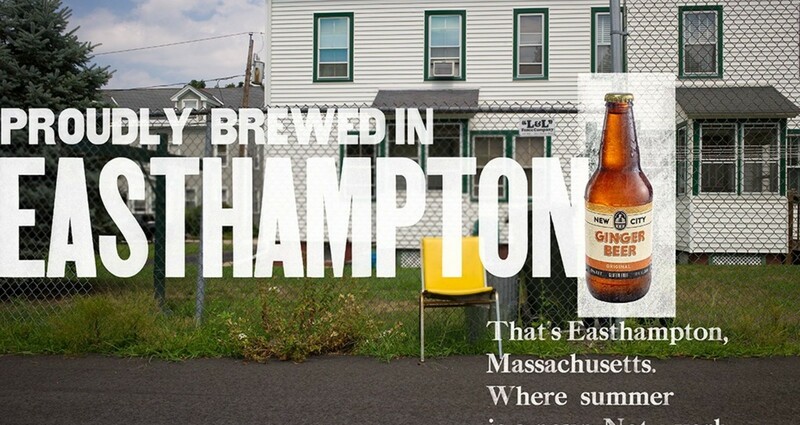 New City takes pride in their attention to quality and detail and felt that a campaign touting it's status as a true micro-brew would serve this well. The posters hung in bars and restaurants in various establishment in and around Northampton Mass.